She carries the color gene so she is a potent color producer! What in the world does that mean??? I am relatively certain she's not silver but actually a smokey brown. 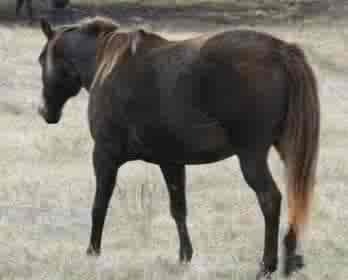 Her muzzle is classic of a smokey brown and many black bases with cream have these faded mane tips. I see nothing in either parent that indicates silver (I'm quite certain the sire isn't and I can't find a photo of the dam but I see nothing suspicious in her pedigree). I wouldn't mind seeing her tested, but I'm fairly certain she's E_ At_ CRcr zz. 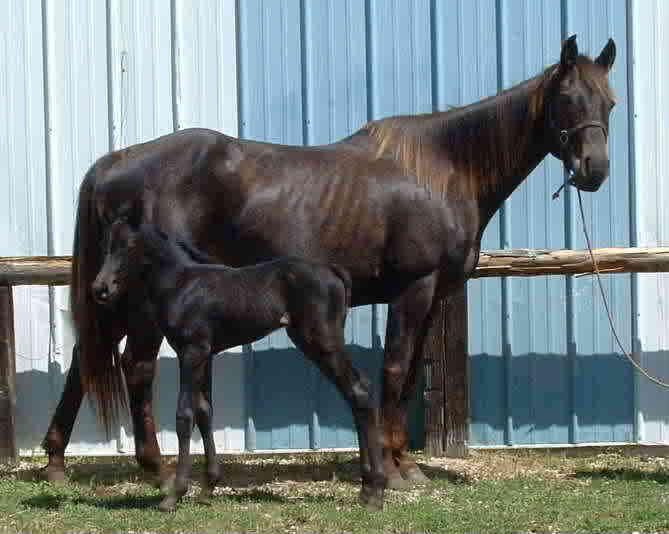 Here is the website of her Sire and Dam and the photo above is of a full sister. By the looks of it if it is silver it must be coming from the sire Ciderwood but other photos of his offspring do't seem to have the coloration gene. mayby I guess she could also be a buckskin with sooty gene? Well the dam is definitely not silver. Based on the photos I've seen of the sire he shows no hint whatsoever of being silver. The sister is VERY odd. Normally I would have said chestnut, but that's just not sitting right with me. She could just be a smokey black, but that's not sitting right either. The more I look at the original mare the more I question. I just don't understand where it could have come from. Any way to see about having them tested? Well it doesn't really tell us much, but I've proven Mindy Wood has cream. She has a perlino son. I've hit a dead end on the other mare. I get no hits on her at all so I pulled her progeny. She's got two buckskins and a black (the one in the photos). The problem is I can't tell if the sire of the two buckskins has cream or not. His pedigree says he could. 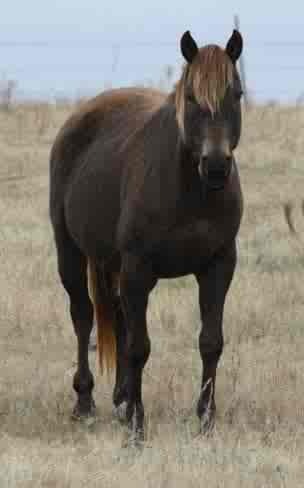 He has several foals that are clearly buckskin, however EVERY SINGLE ONE of them is out of a Ciderwood (sire if the OP mare's who we know is cream) mare. So, if this guy isn't cream we know both of these odd mares are cream at least. If he is cream, who knows about mare #1.